Is Anil Ambani on the brink of losing RCom? The total market value of the Anil Ambani's Reliance Group companies comes to around Rs 36,000 crore now, compared to aggregate peak values of over Rs 4 lakh crore. 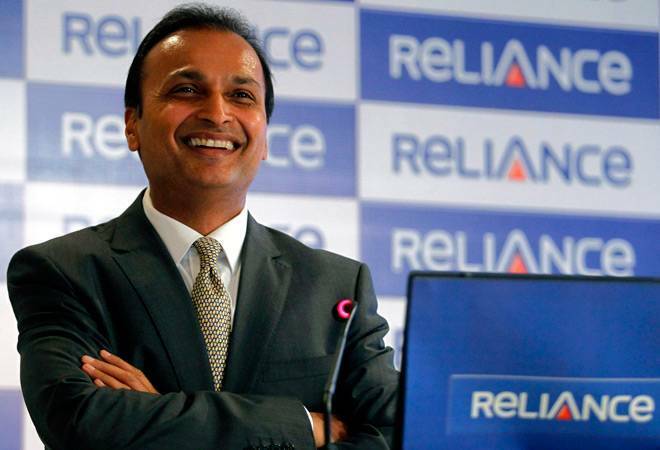 The shares of Reliance Communications (RCom) jumped over 50 per cent on Thursday on reports of overdues settlement talks with Swedish communications equipment major, Ericsson. It is expected to help Anil Ambani's Reliance Group company to evade the insolvency proceedings against it. The settlement news catapulted the company's market value to Rs 4,500 crore from Rs 2,600 crore in a day. Anil Ambani is on the brink of losing RCom, which was valued Rs 1.7 lakh crore in the market about 10 years back. Due to the company's inability to service the debt of Rs 45,000 crore, Ambani had earlier tried to sell assets like 2G services, telecom towers, spectrum and real estate. Finally, Mukesh Ambani's Reliance Jio has agreed to buy the telecom assets for Rs 18,000 crore. Ericsson has taken them to National Company Law Tribunal (NCLT) for recovering Rs 1,150 crore in dues. Ericsson had signed a seven-year deal in 2014 to operate and manage RCom's nationwide telecom network. The court earlier admitted three insolvency petitions filed against RCom and its subsidiaries for hearing. If dues settlement fails, RCom will be the first Ambani firm facing the bankruptcy proceedings. The market valuation of other companies of Anil Ambani are not anywhere close their peaks. Reliance Power, which had a Rs 11,700 crore IPO in 2008, is now valued at Rs 10,000 crore, lower than the capital it raised from IPO. The peak valuation of Reliance Power was over a lakh crore in February 2008. The engineering, procurement and construction (EPC) firm, Reliance Infrastructure is the largest in the group according to the market capitalisation at over Rs 10,400 crore. Reliance Capital is the third largest company in the group considering the valuation in the market at Rs 9,900 crore, though the company's value is one seventh of its peak. Reliance Naval & Engineering (RNE), the erstwhile Pipavav Shipyard which was acquired by Reliance Infrastructure in 2015, is valued Rs 1,240 crore. The total market value of the Anil Ambani's Reliance Group companies comes to around Rs 36,000 crore now, compared to aggregate peak values of over Rs 4 lakh crore. For comparison, his elder brother Mukesh Ambani's Reliance Industries is valued just below Rs 6 lakh crore in the market.